Professor Errol Mendes has been selected as a recipient of the Senate 150th Anniversary Medal. The medals are awarded to Canadians who are actively involved in their communities and who contribute to making Canada a better place to live. The Senate 150th Anniversary Medal commemorates the first sitting of the Canadian Senate on November 6, 1867. Professor Mendes will receive this prestigious honour in recognition of his internationally-renowned work on the rule of law, human rights and anti-discrimination, both inside and outside the academy. He was nominated by the Honourable Mobina S.B. Jaffer, who serves as a Senator representing British Columbia. 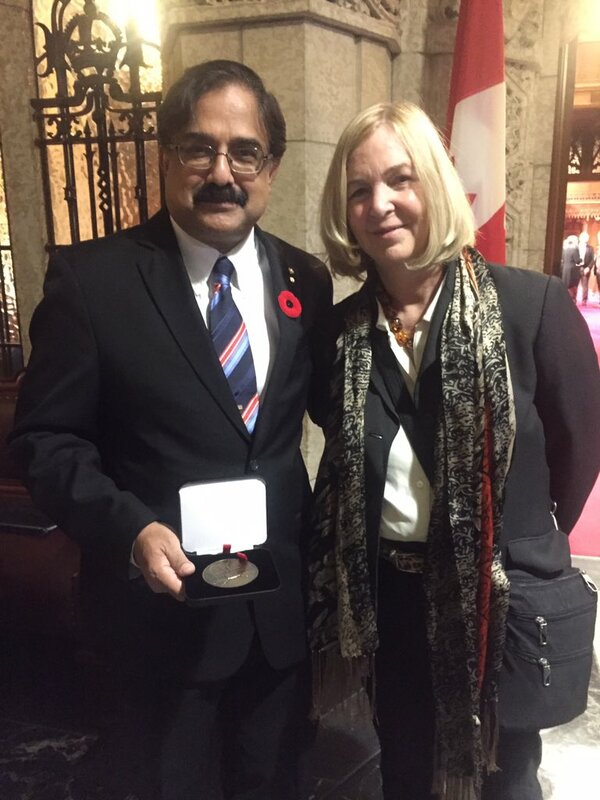 Professor Mendes received the medal at a special presentation ceremony hosted in the Senate Chamber on Parliament Hill on October 31. 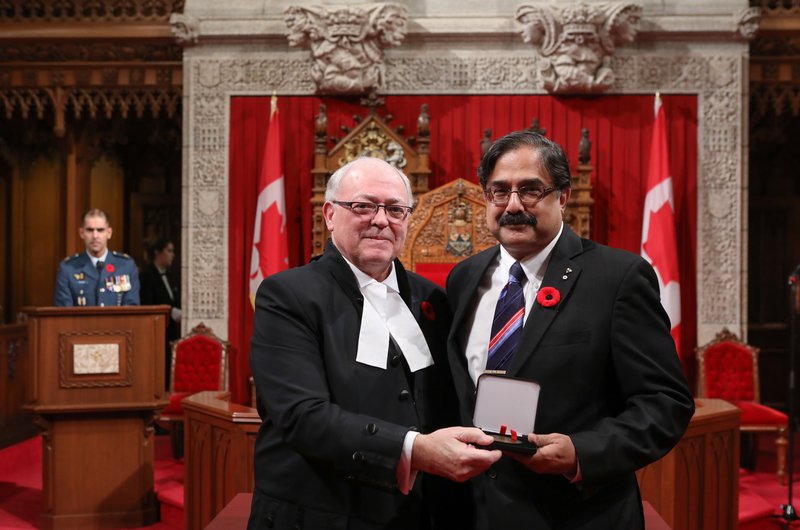 The medal was presented by the Speaker of the Senate, the Honourable George J. Furey.